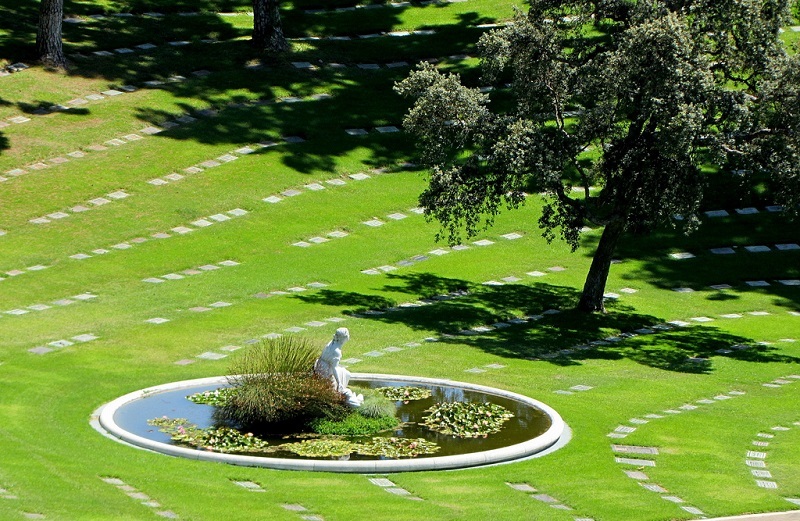 Visit Los Angeles: what are the best things to do and see in Los Angeles ? Who has never dreamed of flying to the United States to visit Los Angeles? Famous for its array of glitzy features, including Ray-Ban sunglasses, Californian blondes on roller skates, handsome surfers with ravishing smiles, the bright Hollywood sign overlooking the city, or the residing celebrities, Los Angeles never ceases to fascinate. L.A. is the second-largest city in the United States after New York City, and a very important hub for the tourism industry. 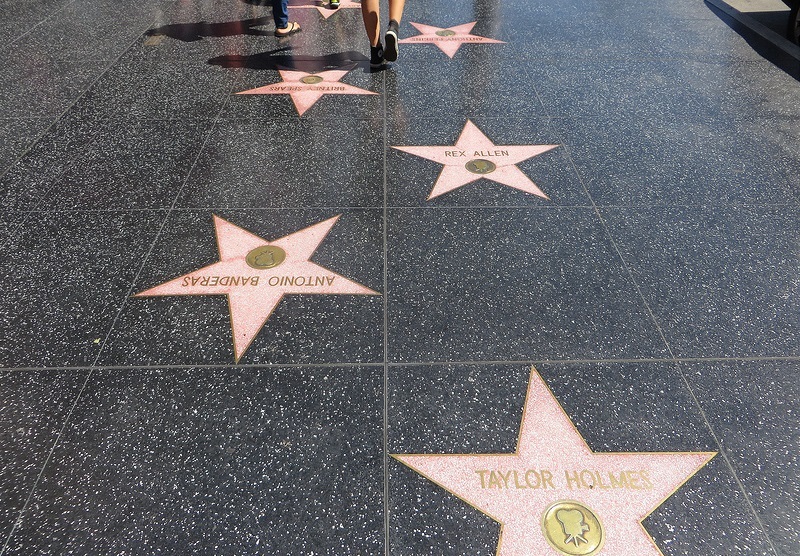 Los Angeles is the city of all Hollywood stars par excellence. Between villas and pools, it is impossible to be completely indifferent to this world of glitz and glamour. Lined with the famous five-pointed terrazzo and brass stars on the Walk of Fame, as well as museums (Guinness World Records, Madame Tussauds Hollywood, etc. 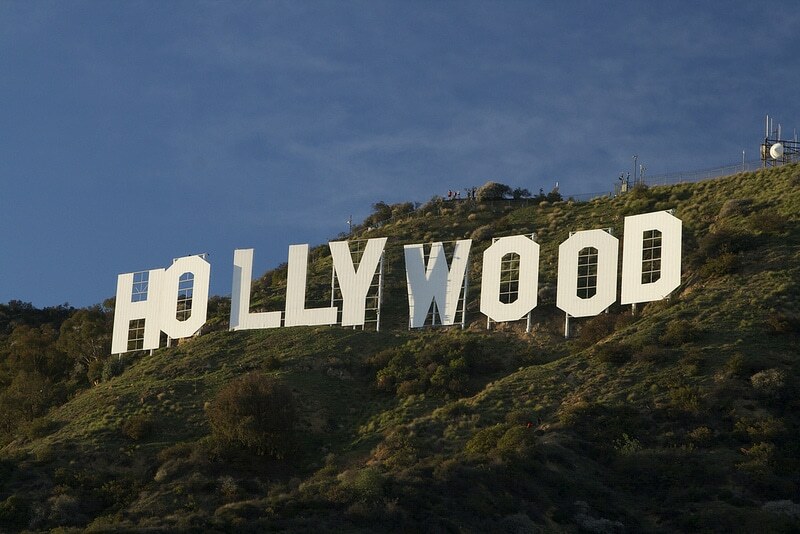 ), cinemas, huge shopping centers, and the Grauman’s Chinese Theater, Hollywood Boulevard is a must-see in Los Angeles! You will have a lot of fun discovering the names of the celebrities on each star. Situated at the end of the famous Hollywood Boulevard, the Dolby Theater (formerly Kodak Theater) is famous for hosting the prestigious Oscars ceremony every year. Get your chance to walk on the red carpet, and imagine onlookers huddling over each other like paparazzis looking for the perfect shot. 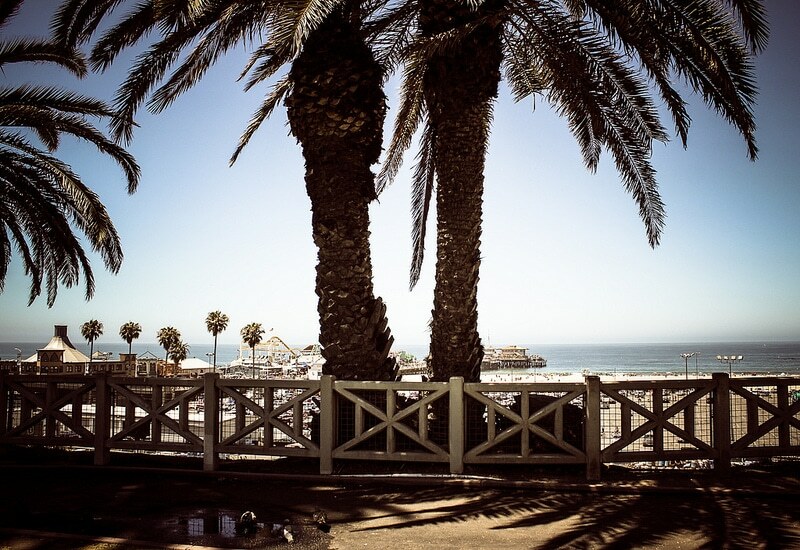 All along the ocean, on the promenade, you will have a chance to admire artists, body builders, or women in bikinis rollerblading showily along the Boardwark. 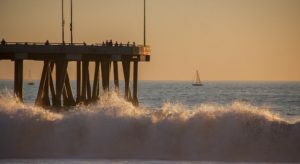 Even if Venice Beach is a place of show-off and overwhelming clichés, the famous neighborhood is also prized for its warm and friendly atmosphere. Nestled in the San Fernando Valley, Universal Studios Hollywood is an iconic film studio and amusement park, home to unexpected treasures for all film-lovers, including world-renowned film sets such as Back to the Future or Jurassic Park. 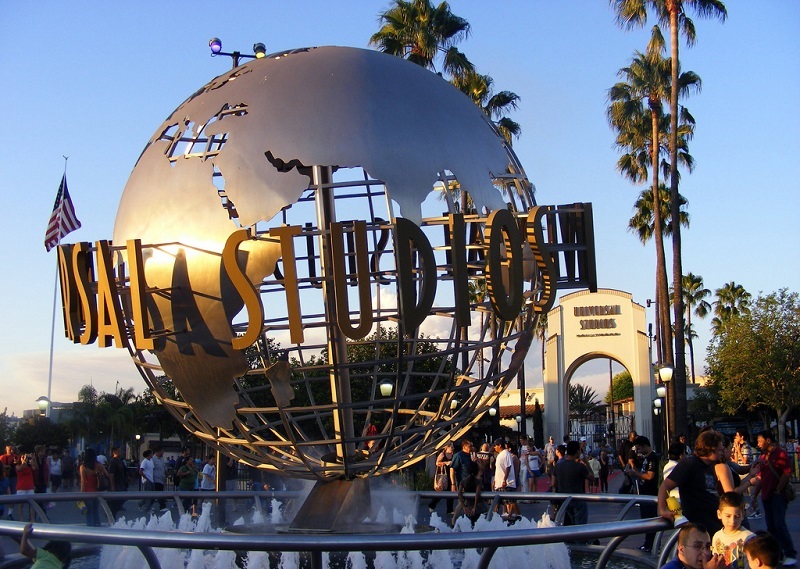 Not only is a Universal Studios a theme park, it is also a professional film studio. Take a guided tour of the studios and get a behind-the-scenes experience of some of Universal’s most popular films. You can easily spend a day or two here, especially if the park is full and waiting times are long. After having fun on the rides, you can go to CityWalk, an entertainment venue located three blocks away, featuring shops, restaurants, and cinemas. If you’re a movie fan, you can also visit the Paramount Pictures Studios, which have been around since the 1910s, or the Warner Bros. Studio, very close to Universal Studios. Located on the southern slope of Mount Lee, home to the iconic Hollywood Sign, this unique venue offers a stunning view of the city of Los Angeles. Highly successful particularly due to its free admission, this popular tourist site attracts many star lovers for its wide planetarium and exhibition space. The main attraction of the place is the Zeiss telescope, used to observe the moon and the planets. You can use the telescopes for free every night (the park is open until 10pm). Also featured: solar telescopes to view the sun. Griffith Park is California’s largest state park, featuring a theatre, an equestrian center established for the 1984 Olympics, golf courses, tennis courts, hiking trails, and other attractions. Erected in 1923 to advertise the name of a new real estate development, the letters of the Hollywood sign were originally intended to last for a short period of time. Rebuilt by the Chamber of Commerce in 1949, the Hollywood sign became an iconic cultural and historic landmark in Los Angeles by 1973. 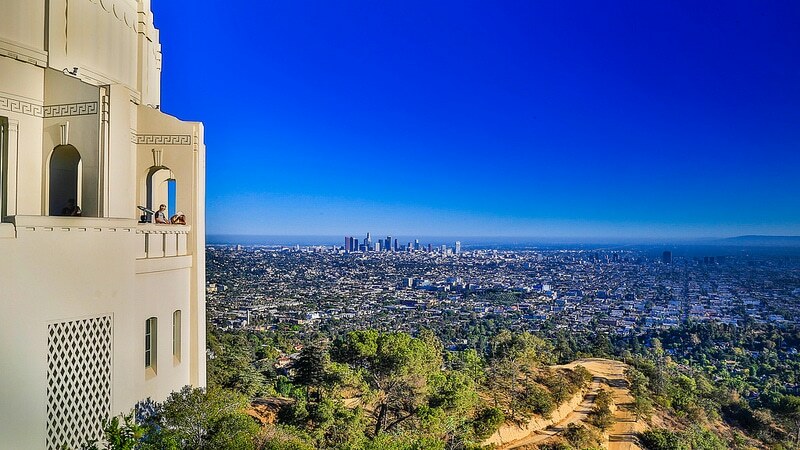 The sign, located on the south side of Mount Lee at Griffith Park, is now a registered trademark. The best way to see the Hollywood sign is from the Griffith Observatory. 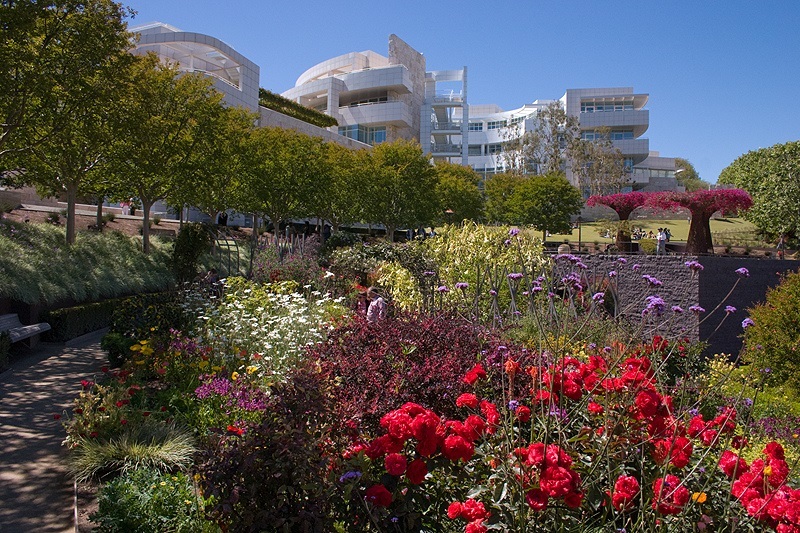 Perched atop Brentwood Hill, the Getty Center is a vast complex designed by Richard Meier. This uniquely designed building and its beautiful gardens provide an ideal setting for this impressive museum. 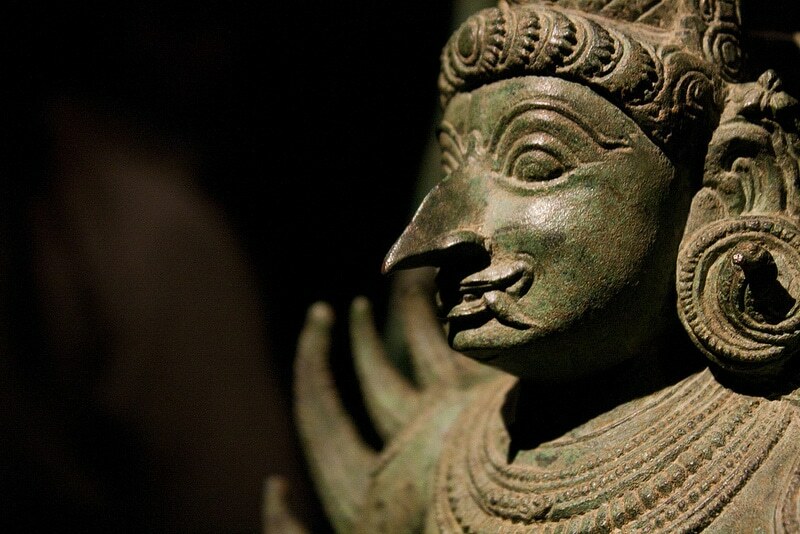 The collections include paintings, drawings, sculptures and European decorative arts, as well as photographs from the 19th and 20th centuries. The Getty Center houses a part of the J. Paul Getty Museum (the other part of which is housed in the Getty Villa), created by oil tycoon J. Paul Getty. The Los Angeles County Museum of Art – also called “LACMA” – boasts about being the largest art museum in the western United States, with a collection of over 130,000 works ranging from antiquity to modern times. The museum’s campus is known for housing the Pavilion for Japanese Arts, showcasing works from Ancient Japan. Another building is dedicated to the American and Mexican collections, with paintings by Frida Kahlo, Diego Rivera, José Orozco, as well as some pre-Columbian works. In 2008, LACMA inaugurated the Broad Contemporary Art Museum (BCAM), a new building designed by architect Renzo Piano, as part of the broader transformation of the western half of the campus. Wondering what do in Los Angeles during a free afternoon? Do you remember the scene in the film “Pretty Woman” where Julia Roberts goes on a luxury shopping spree with Richard Gere? 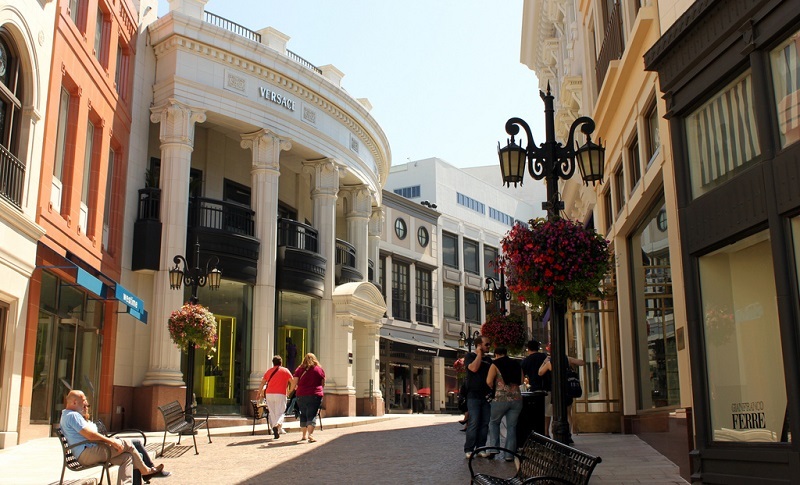 Welcome to the ultimate high-end shopping destination in the heart of Beverly Hills. Whether you favour Chanel, Cartier, Gucci, Christian Dior, Armani, Tiffany & Co, or Burberry, you’re sure to find the luxury store that will suit you best. This is also a great opportunity to window shop, rub shoulders with rich people for a few minutes, dream a little, and heat up you credit card. 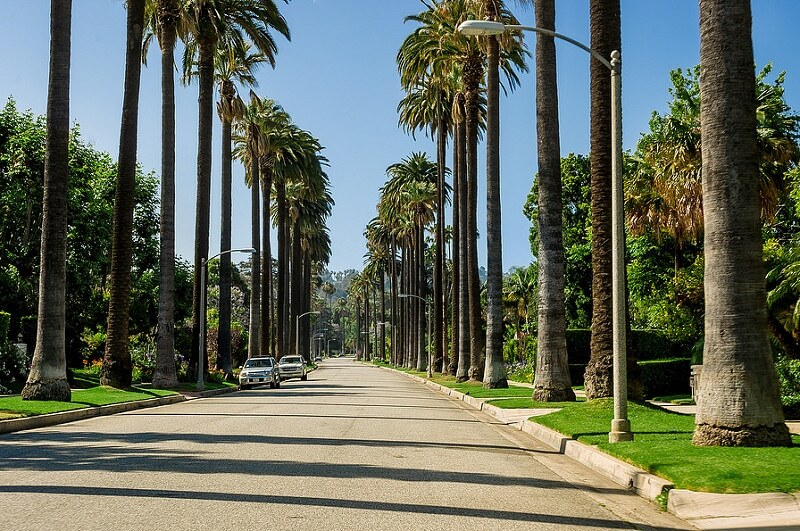 Beverly Hills is undoubtedly the richest and best protected neighbourhood in the city. The neighbourhood is home to many celebrities, however it won’t be necessary to pay much attention to this area if you are not particularly interested by movie stars. Each villa is protected by huge hedges or fences that serve to hide and protect the privacy of its residing celebrities. However, if you feel like going on a small pilgrimage, do not hesitate to request a map from the tourist information center. Who knows, you might end up face to face with your favorite actress? Bustling with activity, the area around the Santa Monica Pier features small cafes, restaurants, and a range of street performances to watch. 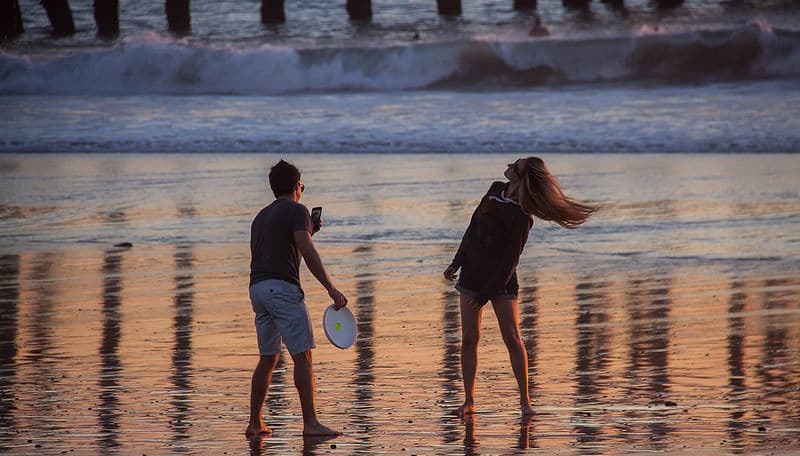 The beaches of Santa Monica are friendlier than those of Venice Beach and you will have the opportunity to enjoy various attractions such as the unique solar-panelled Ferris wheel. Simply rent a bike and ride along Third Street Promenade, filled with talented street artists and performers. 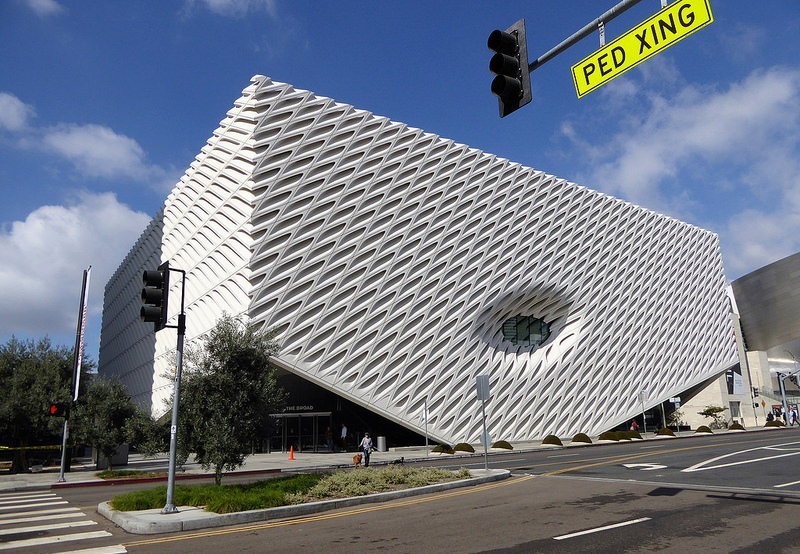 One of L.A.’s newest cultural attractions and definitely one of the best things to do in Los Angeles, The Broad opened in late 2015 and was an immediate success. Though admission is free, it is advised to book your tickets a month in advance. Alternatively, you can queue for a free admission at the onsite standby line, however wait times can last for hours, especially on weekends. 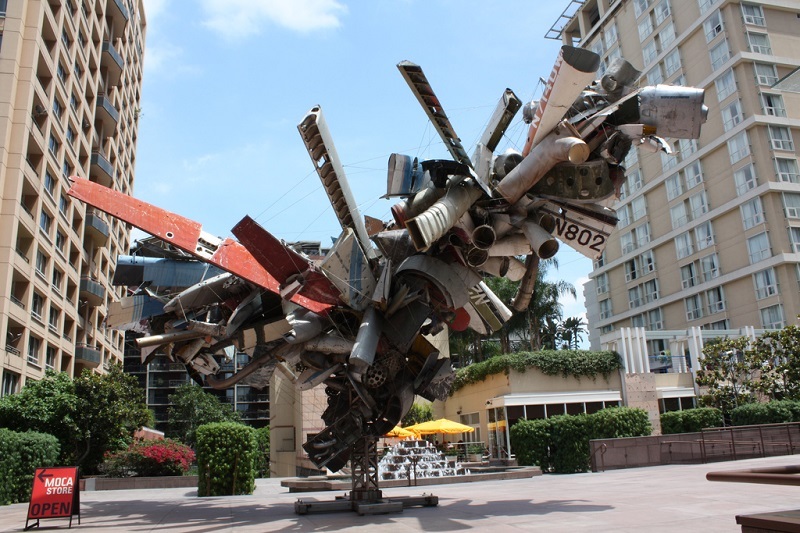 The museum focuses on contemporary and post-war art, and is known for showcasing spectacular installations. More than 2,000 works are exhibited in this unique building which is based on “the veil and the vault” design concept, merging the two major components of the museum: public exhibition space and collection storage. 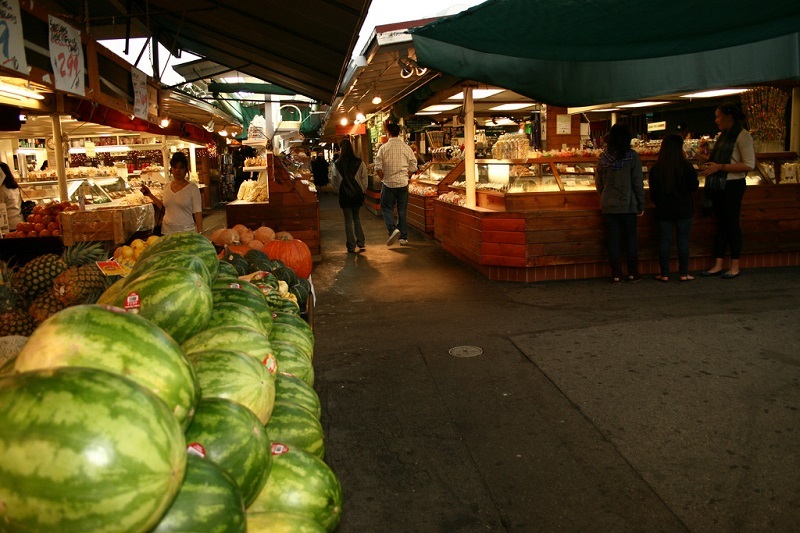 To all foodies, don’t miss a visit to the Original Farmer’s Market at the intersection of Third Street and Fairfax. A historic landmark of the City of Angels since 1934, the venue boasts a wide selection of cuisine, and pretty much any kind of food you might be looking for. It even features a bakery for dogs. Farmer’s Market is open daily. Another favorite of those who enjoy good food: the Grand Central Market, close to the Walt Disney Concert Hall. The Museum of Contemporary Art comprises three separate venues and is dedicated to showcasing works from the 1940s to today. MOCA Grand, on Grand Avenue, is the museum’s main facility, featuring the main galleries as well as the museum’s largest shop and café. MOCA Geffen is located in Little Tokyo, in what used to be a police car warehouse. Located in West Hollywood, the MOCA Pacific Design Center hosts temporary exhibitions. 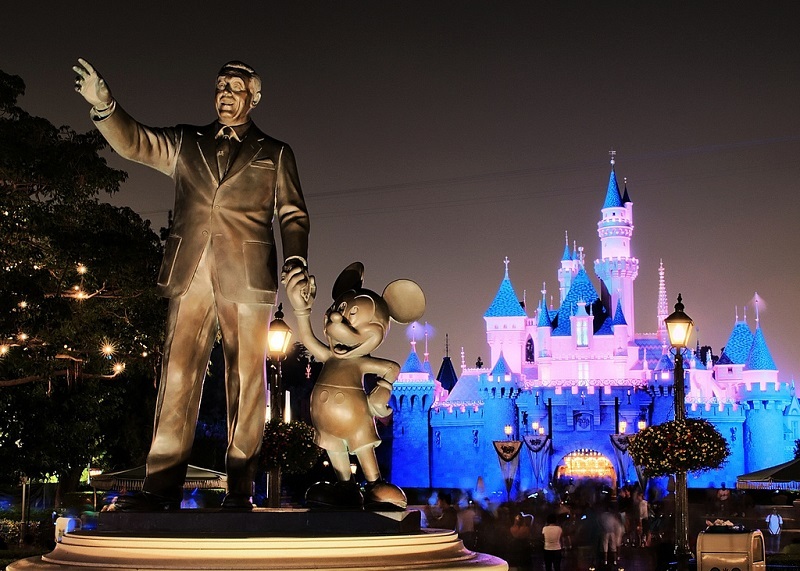 Whether you are planning a family vacation, a holiday with friends, or a romantic getaway, you should take a day to discover Disneyland Park, located in the city of Anaheim. It is the only Disney theme park designed and built under the supervision of Walt Disney himself. Even if you have visited other Disney parks, nothing beats the original. 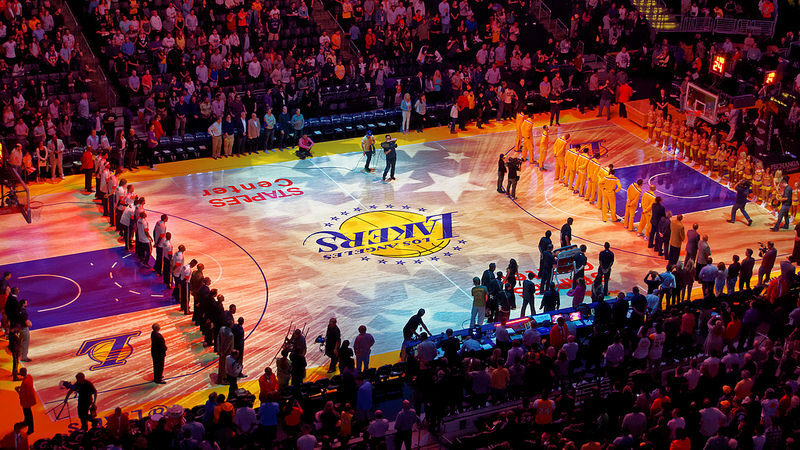 If you are a sports fan, and a basketball fan in particular, it would be a sin not to attend a Los Angeles Lakers home game while visiting Los Angeles. The Lakers games are hosted by the Staples Center, the sports arena that also hosts the Los Angeles Clippers, L.A.’s other NBA team. So, if you’re in Los Angeles during the regular season, or even better, during the playoffs, Staples Center will undoubtedly host a game. 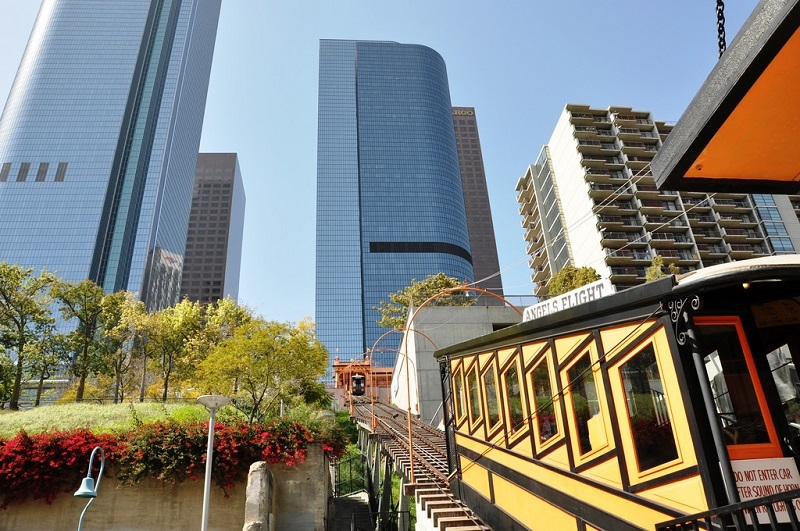 The Angels Flight is an old cable car, and is the world’s shortest incorporated railway. For $0,50, you will climb an impressive 90-meter slope aboard a strange orange and black wagon. After having been closed to the public for the purpose of safety upgrades, Angels Flight reopened in September 2017. How to get to Los Angeles? The Los Angeles International Airport is one of the busiest in the world, and you will easily find direct flights from Paris and Europe. To book your flight tickets for Los Angeles at the best price, you can search on our partner’s website Skyscanner. Since Los Angeles is a huge city, it’s important to carefully choose the neighborhood to stay on site. The best areas to stay in Los Angeles are West Hollywood (very trendy) and the entire Los Angeles Coast, especially neighborhoods such as Santa Monica, Venice Beach, Marina Del Rey, Manhattan Beach, Hermosa Beach, and Redondo Beach. To find a reasonably-priced hotel in Los Angeles, use a hotel aggregator.